Many of you will surely agree on the fact that when it comes to buy today and pay tomorrow it has never been the mantra of Indians in general. Well, all thanks goes to the Ecommerce, along with the fact that carrying the plastic money is easy, hence this is the reason that the credit card usage has increased tremendously well over the years. 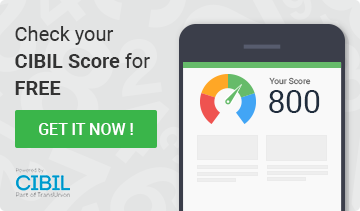 However, with that said, it would not be wrong to say that the bad credit score spoils the fun for those who find it difficult to get the hold of a decent credit card. But, nothing to worry as there are still some credit cards for such people to avail, and at the same time improve their credit score also. If you are having a low credit score, there is no denying on the fact that owning a secured credit card is definitely a best option in order to boost your score. Moreover, all you need to do is just deposit the cash collateral that will form the credit line for your account. Well, the credit limit on the card issued against the collateral just like a fixed deposit. Yes, it is little below than the collateral amount. Generally, it is somewhere close to 80% of the collateral amount. More to the point, as far as bank is concerned, there is no risk involved in case of the secured credit card. But, what all benefits will you get with a secured credit card. With secured credit cards the best thing is the fact that there is no risk involved of defaulting the payment as it is been provided against the collateral. Smartly using and making payments towards the secured credit card on time automatically adds up in your credit score. Well, through this way, you will be able to get a good score so as to get the better deals on other credit cards or loans. Where do you get these cards? 2X Cash rewards on dining, groceries and at supermarkets. Complimentary Provogue tie on joining.